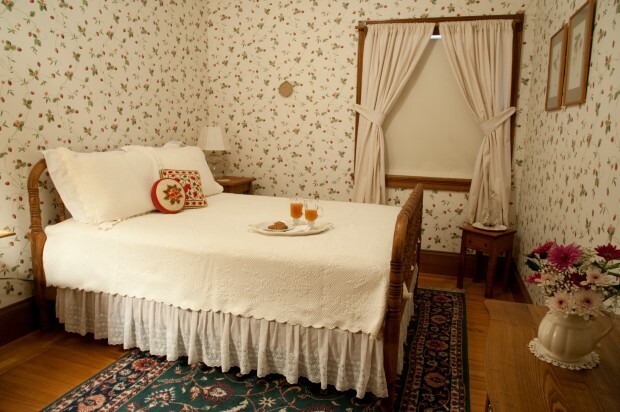 The strawberry room is a charming small room with one full-sized bed and the best mountain view in the house. The shared bathroom is two steps away. There is a CD player/alarm clock and TV is available for watching movies. 9% Vermont tax is additional. Tips are not accepted.